Each boiler is engineered with the latest design programs and technology, such as Computational Fluid Dynamics. 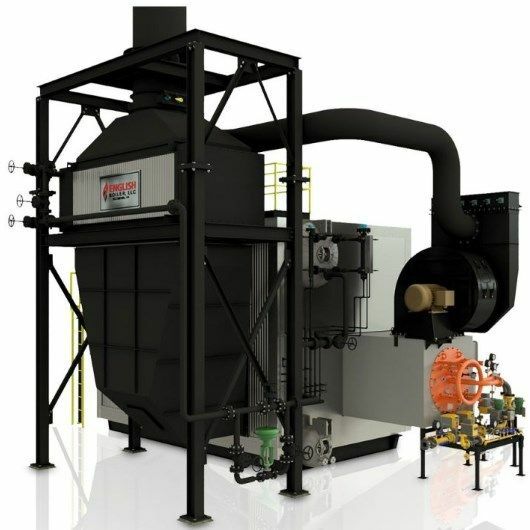 This innovative approach to creating boilers allows shop personnel, drafting professionals, and engineers to fabricate and assemble an unmatched level of quality in each boiler. As the authorized manufacturer’s representative for English Boiler LLC, ATI of New York offer the following English Boiler, LLC equipment. 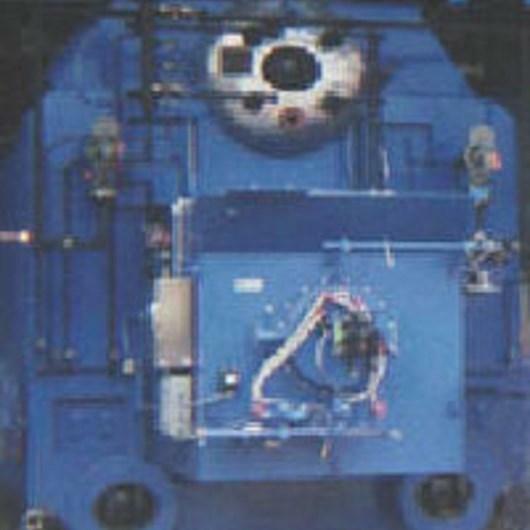 Industrial watertube boilers are uniquely designed for the rugged durability of industrial applications. These high-power and efficient boilers are engineered to produce steam to meet your application or facility needs. 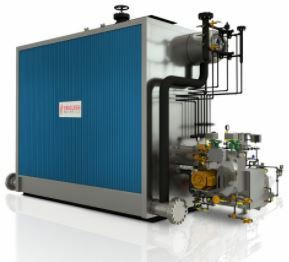 English Boiler offers you the opportunity to have your industrial watertube boiler engineered to fit specific length, width, or height requirements without extra cost for the customized design. 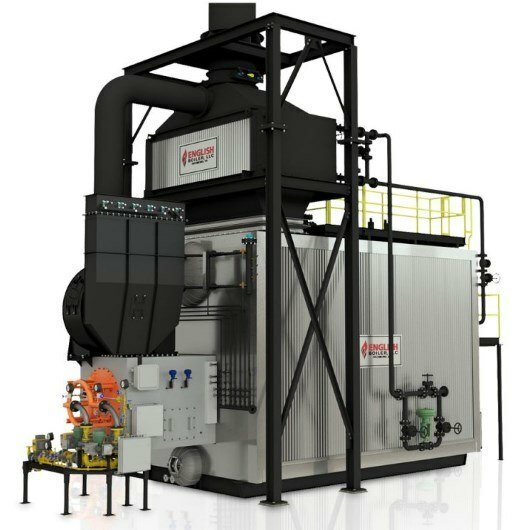 Boasting an unmatched compact footprint, this packaged boiler offers capacities ranging from 10,000 lb/hr up to 200,000 lb/hr. It can produce superheated steam temperatures up to 900°F. 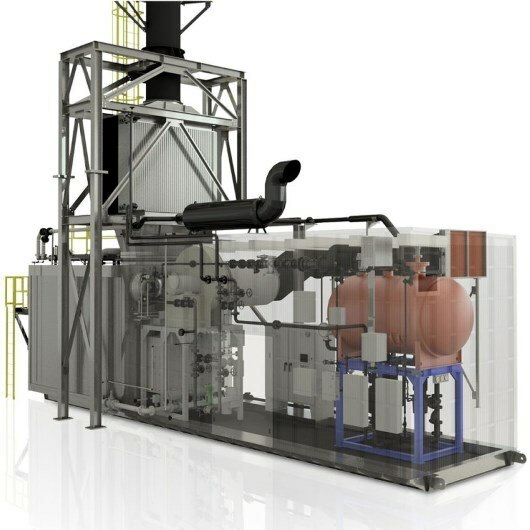 ​With the ability to produce superheated steam temperatures up to 900°F, the D-Type packaged boiler offers capacities from 10,000 lb/hr up to 550,000 lb/hr. 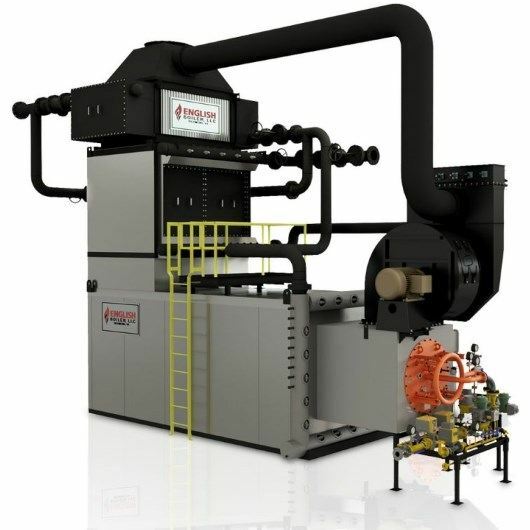 With the ability to produce superheated steam temperatures up to 900°F, the D-Type packaged boiler offers capacities from 10,000 lb/hr up to 550,000 lb/hr. This is a tandem steam generating units-type boiler. 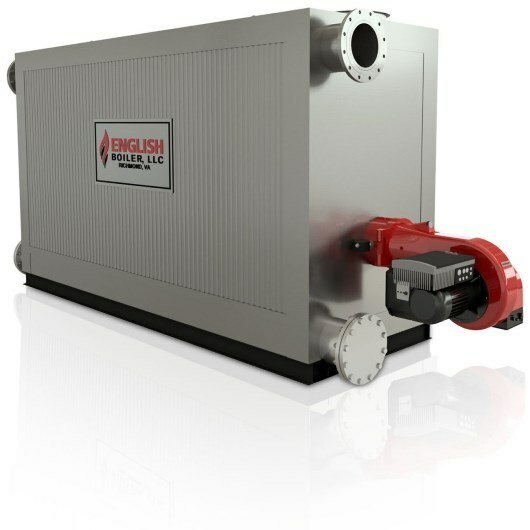 English Boiler, LLC offers cutting-edge commercial watertube boilers boasting the largest capacity hydronic and steam multipass system. Each commercial boiler has a compact footprint and is designed to operate economically and efficiently in today’s market. 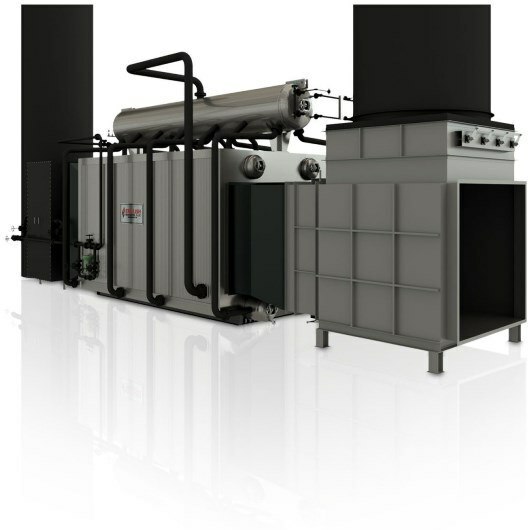 You can have your commercial watertube boiler engineered to fit specific length, width, or height requirements without extra cost for the customized design. ​The largest capacity hydronic & steam multi-pass system features 4,200 to 50,400 (100 to 1200 BoHP), Design Pressure Capability to 650 PSIG, and boasts a compact footprint. ​Offered in both furnace convection module (FCM) and furnace convection integral (FCI), the Lamont HTHW can provide 20 MM up to 250 MM BTU/HR. 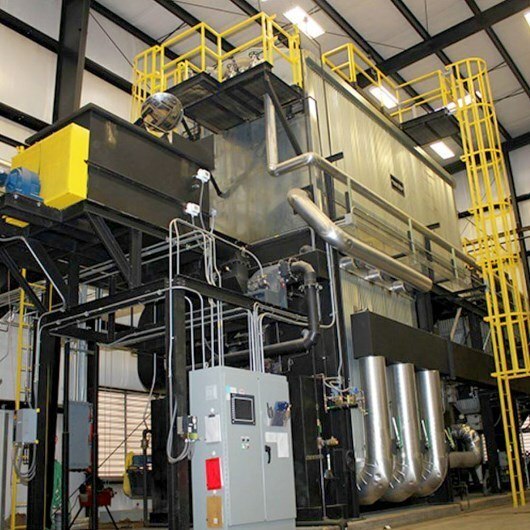 ​The HRSG offers gas turbine and waste heat capabilities with capacities ranging from .5 up to 10 MW. English Boiler’s modular boiler systems can be supplied as advanced or as basic as your application or facility requires. With over 46 years of experience, English Boiler has engineered complete renewable energy systems utilizing biomass as a fuel source. 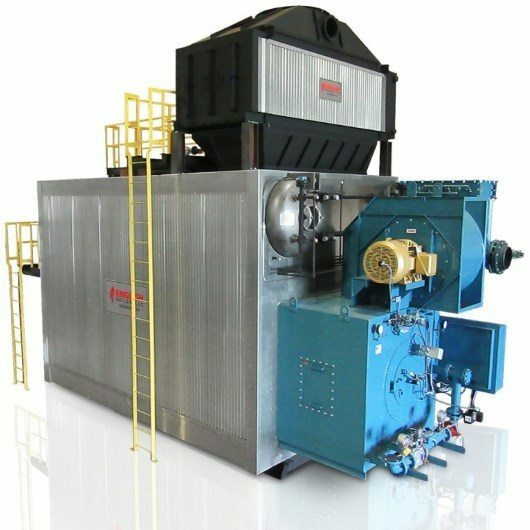 Boiler economizers work to recover heat and improve the efficiency of your boiler. 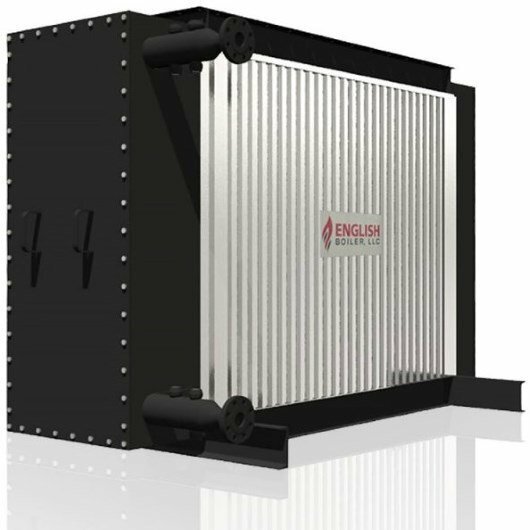 As an authorized manufacturer’s representative for English Boilers, Applied Technologies of New York offers the entire lineup of highly capable and versatile boilers. Regardless of your needs or the English Boiler equipment you choose, you’ll enjoy exceptional quality, performance, capacity, and efficiency. In addition, all English Boilers are competitively priced to deliver world-class value. Since virtually all fabrication is maintained by English Boiler’s facilities, the quality and price remains completely under their control. Flexibility and custom engineering allows each English Boiler to be optimized based on the specific needs of your facility. Best of all, the experts at ATI of New York can guide you through the process. We will first work to understand your specific application and facility needs. Afterwards, we’ll suggest the best English Boiler to meet your needs and exceed your expectations.